Smoke and flames flare up Friday evening near Maybell. 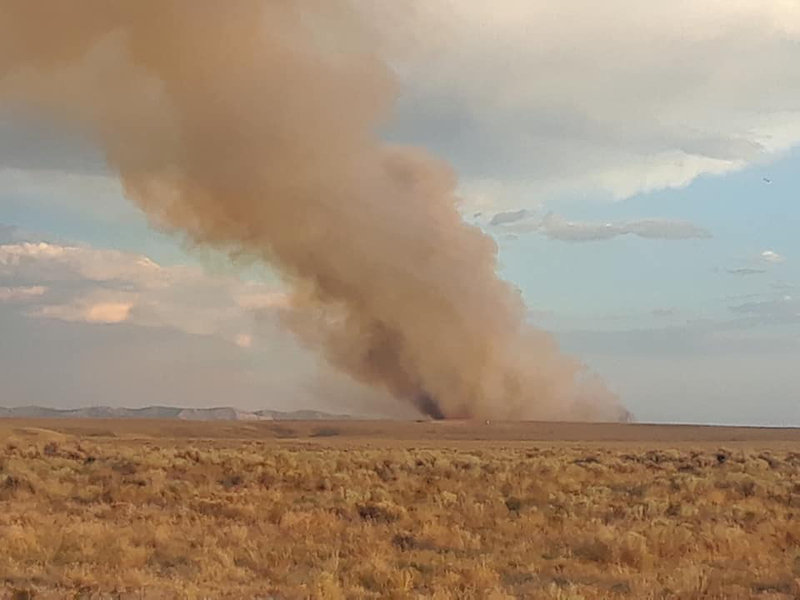 A wildfire near the intersection of Colorado Highway 318 and US Highway 40 near Maybell became the latest blaze to impact Moffat County. The fire was reported Friday evening shortly after 8 p.m. near Highway 40’s mile marker 55. Moffat County Sheriff KC Hume confirmed that Bureau of Land Management is overseeing the response. Air response has also been assigned to the fire, which has burned at least 200 acres. Hume added that the cause of the incident, referred to as the Thornburg Fire, was believed to be a lightning strike. According to a Facebook post by Maybell resident Candy Hicks, people were under pre-evacuation as of 9:30 p.m.
Bureau of Land Management representative David Boyd said the fire has burned around 1,636 acres and don’t have any information on how much of it is contained as of Saturday, July 7. Around 45 firefighters are working together to combat the blaze and are getting air support. At the moment, the fire is not active but it might change with possible windy conditions later in the day. Hicks also captured video of the nearing flames.